Date : While it is common to assign these standard Kai Yuan coins to first T'ang Emperor, LI YUAN, who ruled from AD 618-626, these were almost certainly issued at various times through out the T'ang dynasty, and could date anywhere between AD 617 to 906. Size : 24.4 mm. Weight : 3.27 grams. 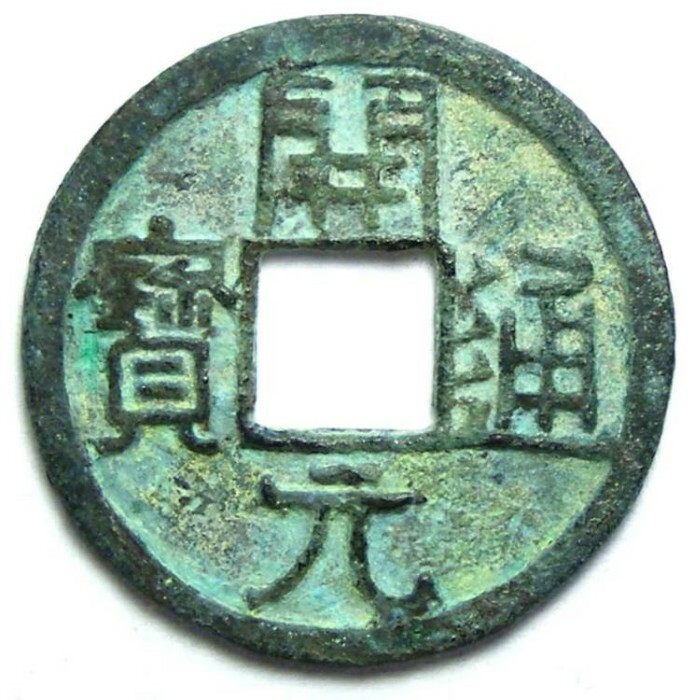 Obverse : "K'AI YUAN T'UNG PAO".